‘Over-confidence’ is one of the main car crash risk factors in the over-65s, according to research by the Spanish Drivers’ Observatory (DUCIT). Nine in 10 motorists of retirement age, when questioned, called themselves ‘very good drivers’ and said they were ‘capable of dealing with dangerous situations’ when at the wheel. According to DUCIT’s data, whilst drivers over 65 are far less likely to be fined for speeding or drink- and drug-driving, they tend to overestimate their road skills, believing they are better than they actually are because of their extensive experience and high mileage. Middle-aged motorists do not realise or accept that their reaction times are slower than when they were much younger adults, their concentration ability reduced, and their faculties are less responsive, with hearing and eyesight being less sharp, and that they are more likely to get tired quicker or be afflicted with muscular and joint pains. DUCIT adds that pensioners tend to drive older cars which lack the technology and safety features of newer models, and that, given that they are more likely to be on medication, in some cases they do not realise that these have side effects which can reduce their motoring ability. No maximum age applies for getting behind the wheel in Spain, given that it is perfectly possible for a motorist in his or her 80s to be in excellent driving health whilst a person 20 years younger may already be afflicted with loss of faculties creating a hazard on the roads. And the General Directorate of Traffic (DGT) does not intend to set an upper age limit, pointing out that having the use of a car is essential for integration, mobility and general quality of life for pensioners for as long as they are still safe to drive. Also, the DGT points out that in terms of speeding, alcohol and drugs, motorists aged 65 and over are the safest. To this end, 14% of Spain’s drivers are aged 65-plus – meaning a high proportion of this age group still has use of a car, given that 19% of the country’s headcount has passed the mid-60s mark – and that as the population is ageing in general, the numbers of retirement-age drivers is also climbing. Deaths and injuries in car accidents are higher among the over-65s, although it is not known how far this is due to the fact that the impact of a crash affects older drivers and passengers more than younger ones. In total, 11,538 accidents in 2016 involved drivers aged 65-plus, and 513 motorists in this age group were killed as a result, whilst 1,566 had to be admitted to hospital and 11,038 sustained minor injuries. In total, the over-65s accounted for 29% of those who died in road accidents, 16% of those admitted to hospital and 9% of minor injuries. Of the fatalities in this age group, 43% were pedestrians, especially in large built-up areas. 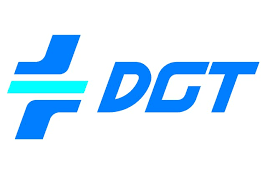 DUCIT and the DGT are keen not to discourage older drivers, but urge them to be conscious of their limits and accept that they may not be as sharp as they were when they were younger, despite their greater experience. They should also have regular hearing, eyesight and general health check-ups and, if any of these produce doubts about their safety, opt for public transport until the problem can be corrected sufficiently, if this is possible. Over-65s especially, although drivers of any age, are warned to keep an eye on how medication they take affects them and to read the prospectus carefully – if pills cause them to feel drowsy, they should not drive. Night driving, or conditions of poor visibility and bad weather can be more risky for pensioners, particularly where their eyesight is not as clear as it used to be, and if they cannot see completely clearly, they should avoid getting behind the wheel. Pensioners considering changing their car should opt for an automatic and one with advanced safety features where possible. The DGT says the over-65s should try not to drive long distances alone, or any distances if they are much older, and should take more frequent breaks than younger motorists – typically every hour and a half or every 150 kilometres, whichever comes soonest. Pedestrians of any age, but especially pensioners, should always make sure they stick to pavements and never step onto roads, and should use zebras and traffic lights at all times when crossing roads.